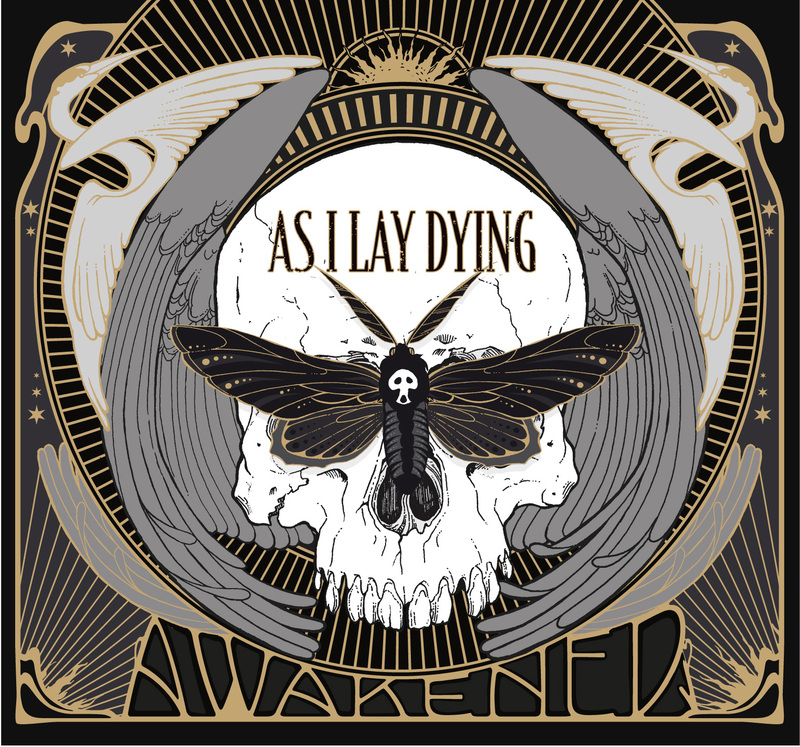 Pre-Orders Available for As I Lay Dying's "Awakened"
It’s time to be awakened. The Grammy-nominated rock group AS I LAY DYING will release their sixth album, AWAKENED, September 25 on Metal Blade. Pre-orders are available today, August 20, via: http://www.metalblade.com/asilaydying/. After wrapping a successful run as a main stage act on the Rockstar Mayhem Festival with Slipknot, Slayer and more, the group will headline a special album release show-full details to be announced soon. On October 15, they’ll launch a European tour with Trivium, Caliban and Upon A Burning Body before returning to the U.S. in November for a nationwide tour. For AWAKENED, the San Diego-basedband–NICK HIPA (guitar), TIM LAMBESIS (vocals), JORDAN MANCINO (drums), PHIL SGROSSO (guitar) and JOSH GILBERT (bass)–holed up in the Blasting Room in Fort Collins, CO with renowned rock producer Bill Stevenson (Descendents) and mixer Colin Richardson. AWAKENED marks the follow-up to the Decas EP (2011) which reached # 2 on the iTunes Rock Chart. The group’s last LP, 2010′simmensely successful The Powerless Rise, debuted on the Billboard Top 200 at #10. The Powerless Risealso reached #2 on Billboard’s Independent Albums Chart and #3 on Billboard’s Hard Music Albums Chart.